ALLEGRA BOVERMAN/Staff photo. Gloucester Daily Times. 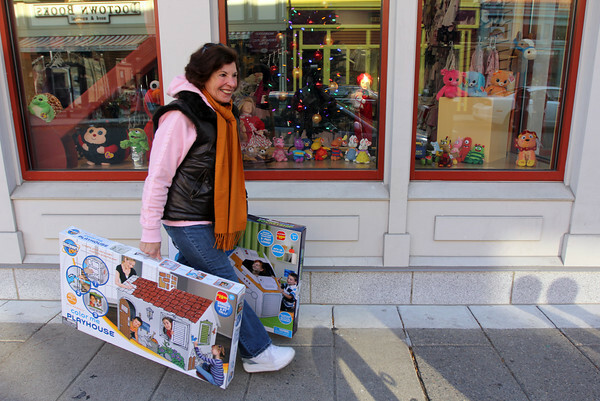 Gloucester: Mary Genovese, of Gloucster and Cape May, N.J., bought presents for her grandchildren in downtown Gloucester on Friday morning and was walking home with them during the pleasant weather.